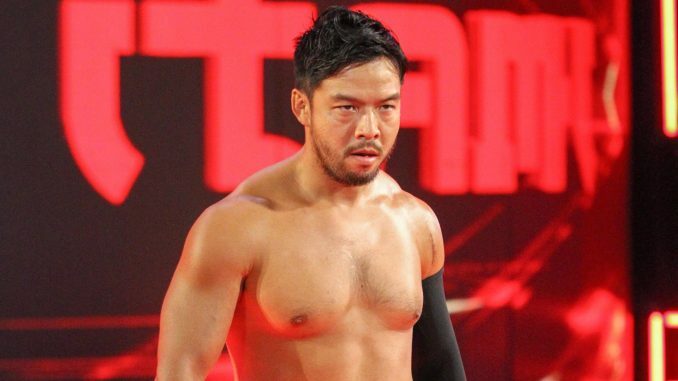 The latest performer to give notice to the WWE is Hideo Itami (Kenta Kobayashi), which was first reported by Fightful.com on Tuesday night. Itami wrestled on Tuesday’s episode of 205 Live, losing to Akira Tozawa where it is believed he finished up with the company. After the match, he posted “Thank you” on Twitter. WWE producer Adam Pearce added, “Thank you for your efforts, dedication, and professionalism. I always respect you”. The 37-year old, formerly known as KENTA, was one of the cornerstones of Pro Wrestling NOAH where he wrestled for 14 years before leaving in 2014 for the WWE. He was a product of the All Japan system but quickly left with most of the roster when Mitsuharu Misawa left the promotion to form NOAH in the spring of 2000. He formed an elite level tag team with Naomichi Marufuji, who would become his career rival. He rose to become GHC heavyweight champion in January 2013 and held it for close to a year. In 2014, he accepted an offer with the WWE and was introduced by Hulk Hogan during a WWE event that year in Osaka. He reported to Florida and debuted on NXT in September 2014. The high point of his WWE career came at WrestleMania 31 as a participant in the Andre the Giant Memorial Battle Royal. Injuries hurt his WWE career as he suffered a terrible shoulder injury in May 2015 and due to complications with rehab, did not return for 13 months. Just months after his return in 2016, he suffered a neck injury during an NXT live event where he took a powerslam and landed badly. He would miss another six months. Itami was called up from NXT in November 2017 and assigned to 205 Live where he has spent the remainder of his time. He was part of this past Sunday’s fatal four-way match at the Royal Rumble with champion Buddy Murphy, Kalisto, and Akira Tozawa. Fightful reported that he was expected to be granted his release pending a 90-day no-compete clause.